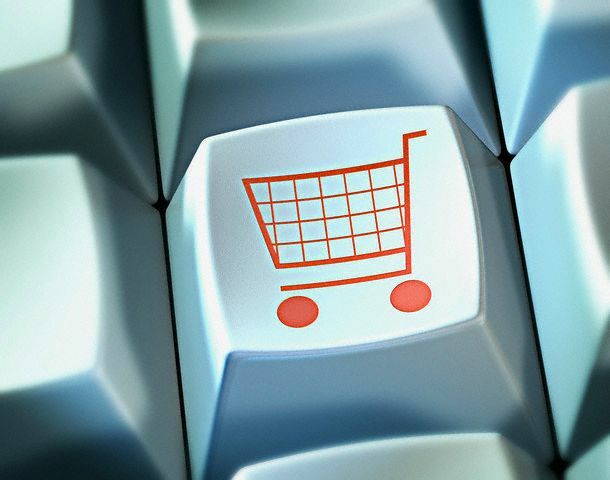 Online shopping is the fastest growing segment in retail shopping. More buyers are looking to the internet on a daily basis to pick up items they need by using the convenience of click and ship. However, there is one major problem most online buyers face when looking to capitalize on this convenience…the in store help and hands on experience. In previous shopping experiences, the consumer would see and use the product in the store while asking questions to an associate to aid in the purchasing decision. When you shop online…you get rid of that interaction…or do you? Online shoppers are turning to blogs and websites for honest, online product reviews to help them make purchasing decisions. This is where you step in as the blogger and provide that personal experience they are missing through forgoing the in-store experience! Better yet…you let them know where they can purchase these items for the best price and receive a commission off of that sale. This is the new way of buying online and it equals massive blogging profits for your business. Most of you already know this…but I got my blogging rep by getting in free product to review for Bike198.com. In the first 9 months, I had already surpassed over $100k in product and that was just the beginning. Not only was I helping out riders in the industry by providing honest opinions on products they were looking to purchase, but I was also providing exposure for companies looking to get their product in front of potential customers. Through this…I was able to grow my blogging income to include a lot of affiliate revenue and bonus revenue through the facilitation of product in my industry for review purposes. Talk about a cool way to live. The same products I used to pay thousands for a year…I was now getting for free and profiting from it! All I had to do was be honest! Next month (May 24-26), BlogWorld Expo comes to NYC. On May 26th at 11:15am, I will be delivering my presentation on The Role Bloggers Play In Retail Purchasing Decisions and How That Equals Blogging Profits. I am completely stoked about the opportunity and look forward to seeing you there if you are going to be at BlogWorld. I will be sharing how I have generated over 6 figures of online income by positioning my blogs as that source for online buying research and how you can do it just like I did. I will also be presenting recent trends in online purchasing and showing you were I think things are headed for the future. We always have to be planning ahead right?! To celebrate and get pumped up for next month, I want to offer you guys a 50% off coupon code that you can use on Ramped Blogging and Ramped Reviews. All you have to do is enter “BlogWorld” as the coupon code at checkout and you can watch the price cut in half! I truly believe that we learn from those that have been there before us to drastically decrease learning curve time periods. I want to help you get on the right foot to see success earlier and that is the main driving force behind delivering the presentation and why I have no secrets in how I run my business. I say we buy and we buy some more..if your a smart marketer you can place yourself in front of those people. I think that the project review is very helpful to take decision in that online shopping.. Surely we can use that coupon.. Also i will check that blogworld coupon.. Thanks for offering this.. Great effort..
Six figures in 9 months in free equipment? I read some stuff about how your reviews have grown your website, but I had no idea you banked so much stuff. Wow. How many e-mails do you think you sent per day in those 9 months? There was a lot of networking going on for sure, but only a couple a week. There ends up being a transition when they start contacting you as well. Yes.. This is the correct time to share your blog.. thanks for updating this..